Tutor Doctor organises in-home tutoring covering all ages, subjects and abilities, including: Primary, SATs, 11+, Common Entrance, GCSE, AS/A2 Level, Degree Subjects, Learning Difficulties and Languages. Tutor Doctor carefully matches DBS-Checked, expert tutors to the personality and learning style of each student, providing one-to-one tuition in the privacy and comfort of their own home.Their experience shows that students prefer this stress-free approach to learning as they can progress at their own pace and are free from the often felt pressure in traditional learning environments. By removing the intimidation and fear of failure, students become comfortable, confident and eager to learn. The methodology has been designed by top education experts and is based on foundational learning, filling in the missing conceptual gaps that are hindering a child's success. One-to-one learning has been proven to be the very best way to help children and young adults who are either behind in their studies or wish to progress further. Tutor Doctor discovers the learning styles and methods that can help them continuously improve. They give a free home consultation with the family or the student who requires tutoring. The main purpose of the consultation is to understand in detail where and how best Tutor Doctor can help. The costs of home tuition depend greatly on the requirement of the student and the number of hours the family or the student may require. There are various prices and packages. Parents are increasingly turning to private tutoring to supplement their children’s education, with the number of students who receive tutoring in increasing from 1.6 million in 2001 to 2.8 million in 2014. In 2003 the company turned to franchising as a way of expanding the company’s impact and meeting the increasing market demand. Tutor Doctor is now an international network of franchised businesses, with over 450 territories, throughout America, Canada, the Caribbean and the UK. While each country may have its own educational differences and special requirements, the fundamental values of the company, established by its founders and shared by its people dispersed across the globe are the same. They are all committed to excellence in education and as a result, the lives of students and their families are being positively impacted. You do not have to have an educational background. Only 17% of our franchisees have prior experience in education while 83% come from diverse business backgrounds. This is a white collar, home-based business managing a network of tutors. Franchisees come from many walks of life; corporate executives, teachers, small business employees, etc. The most important quality looked for is the desire to make a difference, engaging in meaningful work and impacting the lives of others, especially in their local community. Franchisees benefit from centralised customer relationship management software and lots of training and support. The Tutor Doctor's franchise fees start at £29,700 + VAT. We've provided this information to raise awareness. We are not offering any professional advice or endorsements and we are not assuming any responsibility or liability for any actions of the above company. We cannot guarantee or assume liability for the accuracy or completeness of the information. We will not accept liability for any incidental, consequential, or indirect damages arising out of any transactions with the above company. Basically. it is up to you to thoroughly investigate the company and its proposition and seek expert advice prior to making any investment decisions. Please do so! In 1977, the major franchise companies in the UK decided to set up their own association. The British Franchise Association (bfa), was formed to act in the interests of the industry as a whole in assessing and accrediting franchising companies as those which meet its criteria for the structure of the franchise business, the terms of the contract between franchisor and franchisee, the testing of the system and its success as a franchise. Full Members are established franchised businesses with a proven trading and franchising record. 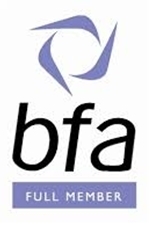 They are prepared to have their reputation examined by the bfa, and have an established network of franchisees. Associate Members have proven their ability to launch and support at least one franchised outlet for 12 months and are now in the business of building their network. There will be few franchisees whose experience you can research and a short period of time over which the business has been tested.